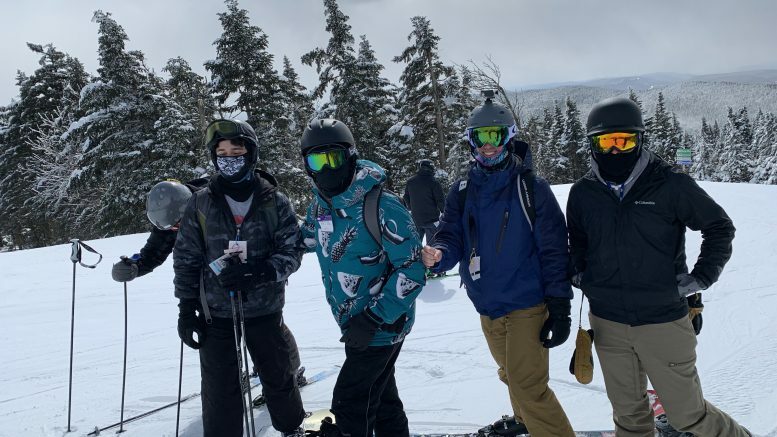 Many students spent spring break at home, while others traveled to various places around the country; members of the LVSki and Snowboard Club traveled to Vermont during spring break to hit the slopes. From March 3 to 7, the club traveled to Mount Snow in West Dover, Vermont to fulfill their goal as a club and enjoy their time off from school. The LVSki and Snowboard Club was formed during the 2017-18 school year by Lash and William Kubistal, a sophomore and actuarial science major, who came together with their similarities and love for the slopes. The club began fundraising at the beginning of the semester to cover the various costs for the trip. They received most of their money from the Annville Grille, which gave the club 15 percent of all food orders during the afternoon of Feb. 17. After driving five and a half hours to the resort, the trip itself turned out to be one to remember. The club hopes to continue to grow in size. Students interested in joining the club can contact Coulson Lash at cml010@lvc.edu.